Click the Turner painting above for a short YouTube video of the Simulator in action! 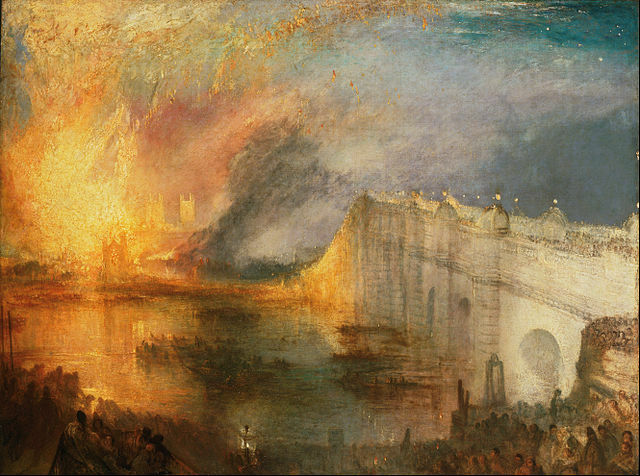 J. M. W. Turner, Burning of the Houses of Parliament, 1834. The fire was a "monetary omen" since it began with the deliberate incineration of tally sticks - an earlier form of money in England. One lesson is that monetary errors can have large consequences! Go to Bank Simulator !